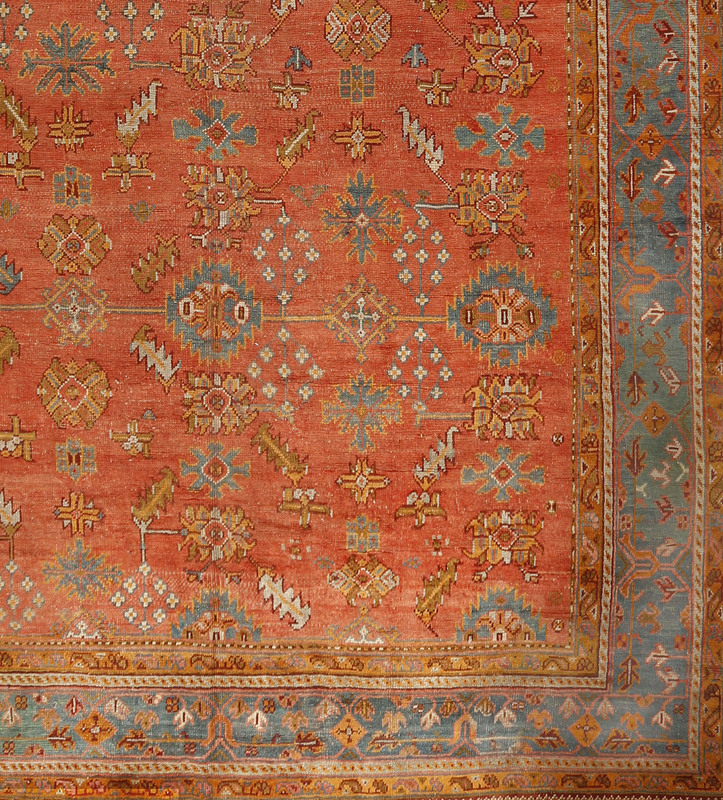 Oushak carpets from the turn of the nineteenth century are among the currently most desirable of all oriental room size rugs. It is easy to see why when considering this nearly palace sized piece. The salmon field displays an allover repeating pattern of saw tooth edged hexagons and matching diagonal stylized leaves. The field is further decorated by highly formal palmettes, diamond arrays, small cruciforms and other abstract motives. 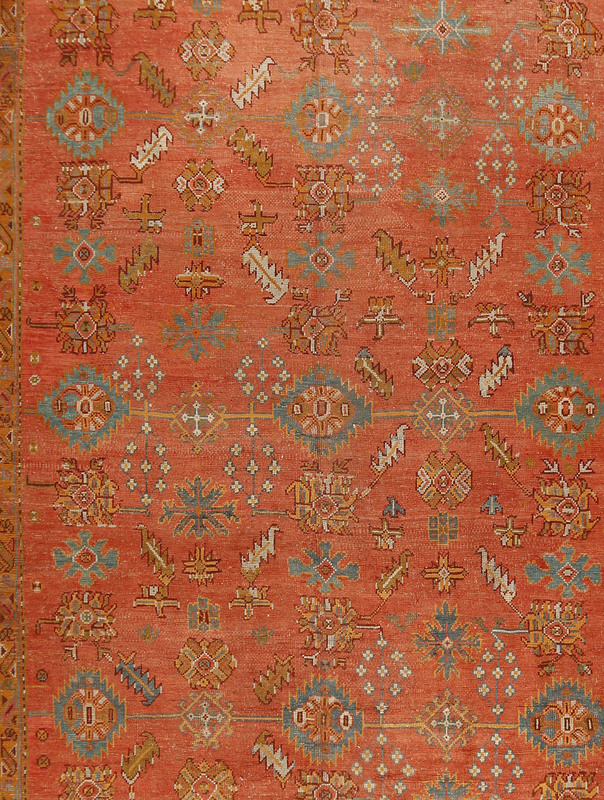 The source of the design lies far back with the traditional Persian harshang pattern. Although the design covers the field, there is no sense of busyness or crowding. The elements float freely. The middle blue main border alternates skeletal tulips with cross-centered lozenges. The best period for these decorative Oushaks is 1890 to1914. 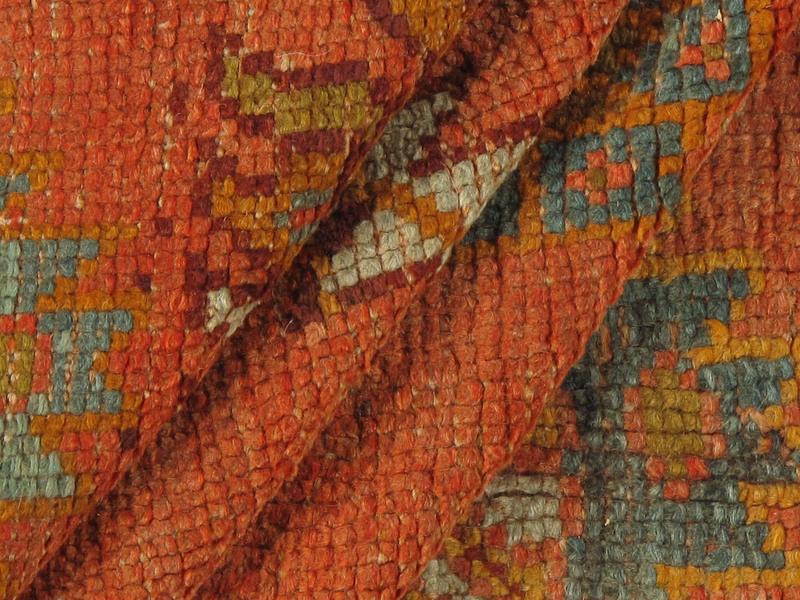 This type of Oushak was probably produced by the giant British carpet company Oriental Carpet Manufacturers. 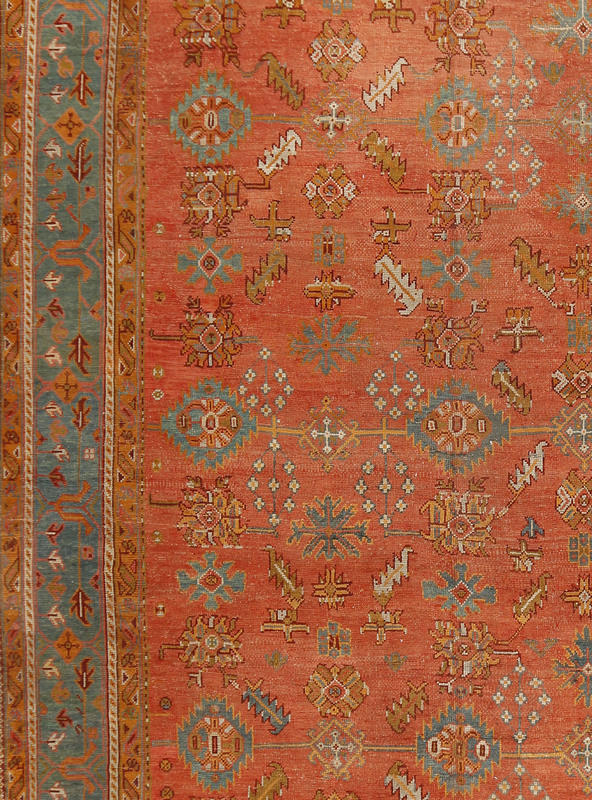 They had strict standards regarding quality and most of the Oushaks of the period are their work. This extra-large carpet has held up very well and it will continue to serve well for further generations of appreciative owners. The construction is all wool, the pile is long and the knotting is coarse.